A couple of months from now, my cousin will be married. She's the first one to be married in my age group in our family so we are really excited about it. 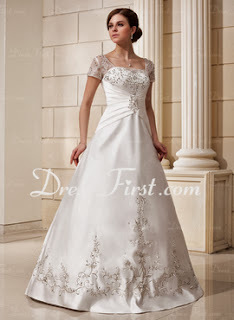 She has asked us to go to her dressmaker and have ourselves fitted with bridesmaid dresses which we'll be flaunting on her special day. The whole wedding preparation is an exciting and stressful time for us (shakes head). 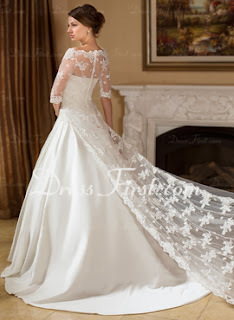 Anyway, her wedding prep keeps me fantasizing about the wedding dress I hope I would one day wear. 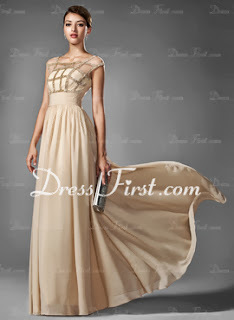 The style of gown that I really like most is the "modest" type of gown because it has sleeves to cover my arms, and it's comforting to know that you won't be showing any undue body parts. I mean if you wear sleeveless, low neckline or short skirted dresses, your body proportions should at least have the right to be shown! Otherwise I would stick to the being more covered up. 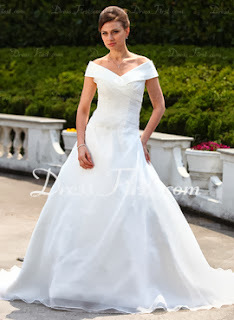 Unfortunately, with what I see in TV and magazines these days where women opt for more revealing designs, a modest gown with a shawl or sleeves isn’t really pleasing on the eyes nor is it easy to find. Just going to the mall frustrates me when I look for a dress that not only fits well but is covers me up, too! It's difficult enough to find a skirt that goes to the knee. 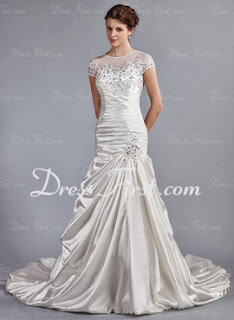 However, thanks to the Duchess of Cambridge, Kate Middleton, I found my wedding gown style peg! The gown she wore was beautiful, simple and classic and the most modest I've seen on a celebrity in years. 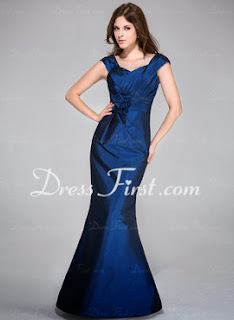 But since I'm not yet the bride, here is what I would probably ask the tailor to check out for our bridesmaid gowns. My mom and my aunt, who is the mother of the bride, would probably love these! I got a little carried away with the photos but I hope you like them! All the designs (except the Kate Middleton pic) are from Dress First. You may want to check that out. Goodness, i can't believe that the last time I posted was for Rock of Ages. Well, anyway.. 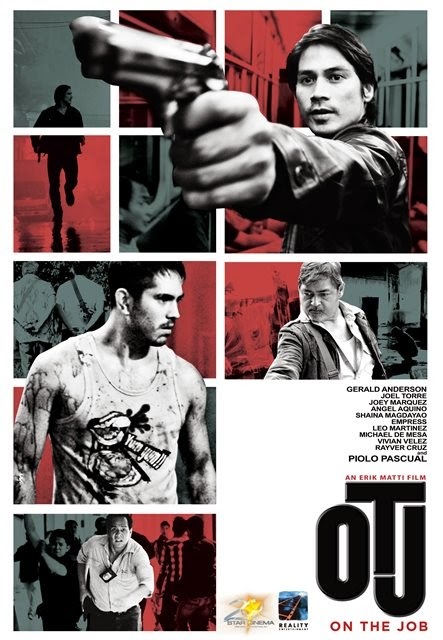 I will make it up by posting about a really worthwhile topic, the stellar and much celebrated movie by Erik Matti, entitled OTJ or On the Job which stars Piolo Pascual, Joel Torre, Gerald Anderson, Joey Marquez, etc. If you search about this film in social media, you will find that a lot of movie goers loved it. And for good reason,.. I am no movie critic but I can say it is top notch. There was only 1 perfect Filipino film in my list, Maynila sa Kuko ng Liwanag by Lino Brocka, which I belatedly watched in some website posted by a kind user. Hopefully I can secure it legally in the future. Anyway, as I said, I used to think there was only 1 Filipino film that is perfect, now, in my mind at least, there are two, and that was since I have watched OTJ. Basically the film is about hired killers and I don't think I plan to say much about the story because it is yours to find out. The only thing I can say about it is how wonderfully written it was. Wow, for many years, I have been watching Filipino films, paying just to help the industry and though it may be true that there are some that are entertaining or hold promise, this is the one that is perfectly made. I can say that this is better than 1896 or Muro Ami, for a different market, but that's just my opinion. This is better than most Hollywood films I know. It's quite weird to note that we might be raving about it, because a good Filipino film (admit it) is such a rare gem. I must say, the way the shots of the camera were planned, the pace of the story, the action scenes, .. I truly can't be more proud to claim that this is a Filipino film. Even the scoring (sounds), the props, the venue where they shot were really good. (you can tell im no movie critic haha). Okay, there are probably a few needful improvements but I plan on overlooking those, and you can't read about those in this blog. Anyway, I wish George Estregan would watch this film and see that this is an example of a good movie. MMFF filmmakers, take note! Indie film makers, please, also take note. Joey Marquez was a revelation. He is an effective actor and even if he is known for comedy roles, films such as this make me esteem him as a serious actor that need to utilized more for films of this caliber. 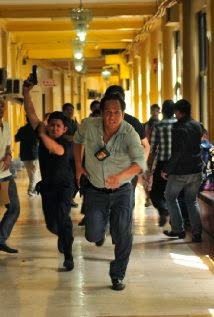 I am glad Star Cinema entrusted the role of the honest policeman to him. You also wouldn't believe that 2 men probably in their fifties (Joel Torre and Joey Marquez) were unbelievably believable in the action sequences. What I also love about this movie is that it is almost seditious in a sense. Okay, how do I explain this. It embodies everything that is bad in this country, the corrupt, the adulterous, poverty, drugs, murders. In the first few minutes, I experienced a feeling of dread only to be felt while watching horror films. It's a characterization of the worst men from the bowels of the earth.. I was truly scared. I am a Filipino, and you know what being a Filipino is like sometimes? You know for a fact that things have to change about the way this country is run and you just cannot do ANYTHING about it. The movie strangles hope which is very reminiscent of Rizal's El Filibusterismo. I love that this film is so socially relevant. I felt like grieving afterwards for the state of this country. Anyway, hopefully you can still get to catch it in the big screen or DVD. I can't stress it enough. You need to watch this film. I give it 3.2 stars. In my other blog, I really always rant about how much I semi-hate Bonifacio global city buses, but in truth, I love Bonifacio Global City very, very freakin much. (Light bulb moment) I probably should write a post with photos regarding this so called love, but that would be for later. 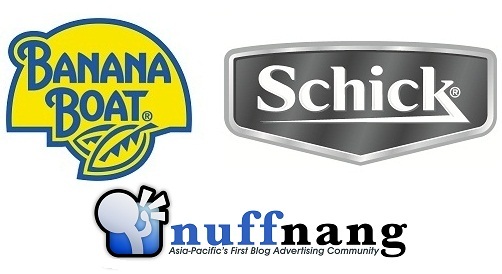 Anyway, one of the reasons why I love working here in BGC, though it's so far, is the food! There's food everywhere... Also, aside from the usual fast food chains, there are a lot of restaurants that pop up which boldly cater to unique tastes, like Cha Time, Florings, the Guac Truck, Singaporean restaurant beside Chatime, Kitchen's Best Cakes (which are the awesomest), etc. that they ate at Sonja's, haha..
﻿Also, one of my favorite dessert places is the very successful Cupcakes by Sonja... which is wildly popular because of its 'cult following'. I think customers make it a point to share in FB or twitter that they ate here. Some even include photos of the beloved cupcakes or of themselves eating 'em. My favorite part when I go to Sonja's is whenever I open the door of the store and I begin to be enveloped by the aroma inside. It's like lazy Saturday afternoons with my mom who loves to bake. Back when she liked to bake. Not that I'm saying she can bake, as well hahaha. Anyway, I also think the biggest reason for Sonja's success is still, of course, the CUPCAKES. They are heavenly, soft, reasonably priced. I have not found any cupcake that would match hers. I am not really a food critic so I am not sure what would be a great way to describe great cupcakes, but yeah, they're pretty great. One thing to note though when eating there for the first time is that the cupcakes are best eaten in the store, on the tables set outside, with a fork and on a saucer. You might think this is silly to actually use utensils for a small cuppycake, but this way, you will be able to slowly savor the cupcake. If you eat it by just biting on it, you will be overwhelmed with the sweetness and you will also be "hinayang" that your 60-peso (to 100-peso) cupcake will be devoured in seconds. 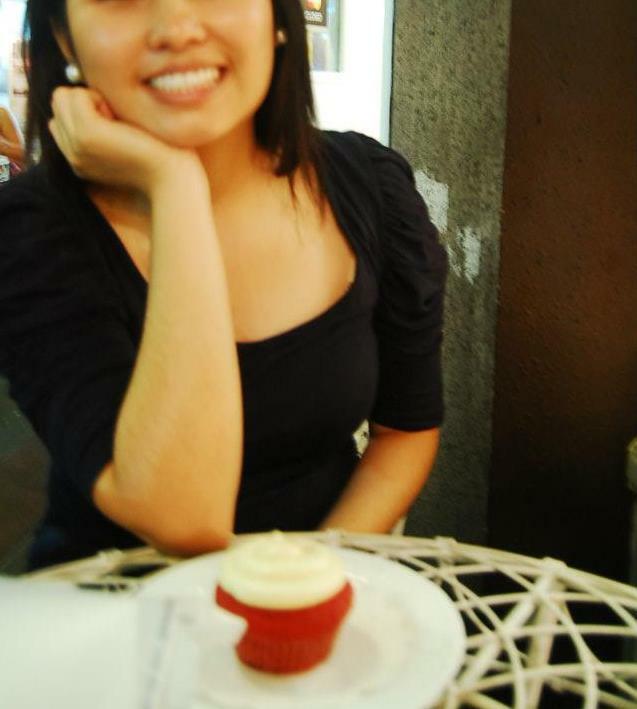 No, I say, sit down on the table, and savor the cupcake. Also, be adventurous with your choices. My favorites are Chocolate Surprise (haha not so adventurous) and Red Velvet Vixen. I'm not a big fan of the Lemon Drop. I just hope some of the other cupcake flavors are available when i visit next time since not everything in the menu is available on the store in one day. I'm checking the site now and ooh, FlufferNutter looks interesting... (hmmmmmmmm)..
Oh well, okay. I probably should pass by there later on the way to Market Market. Or maybe not, depends on how much i'm trying to stick to my diet. PS. I am not getting paid for this. okay. 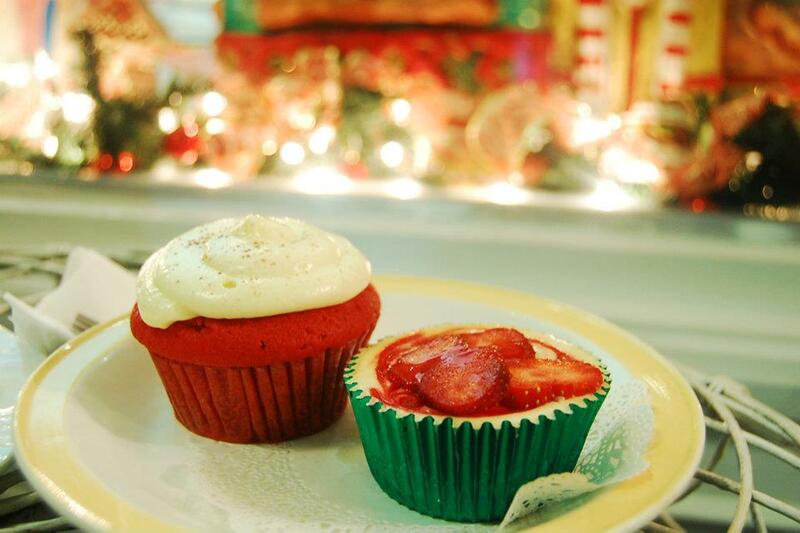 Cupcakes by SONJA is located at1C 03 Serendra Piazza, Bonifacio Global City, Taguig. "What is your ideal Nuffnang summer?" My ideal nuffnang summer would be unique trips and discovering the beauty of Pinoy spots nearby.. like for example, going to Villa Escudero,eating in Isdaan in Pampanga, swimming in Bolinao, going on a history tour in Corregidor, enjoying the falls in Pagsanjan… all of which are just a few hours from Manila and you get a unique experience without spending so much for airfare and accommodation. I would love to visit these places especially when I’m with my Mom and Dad and sister and brother who all give me such happiness. This year too, I might be spending summer with an additional person, a special someone, so summer this year is really something to look forward to. Hehe.. summer lovin,… I truly love the feeling. Pray that everything goes well between us. "Banana Boat Sunscreen Lotion. We've got you covered." Good way for Glee to shake things up a little bit by performing this mash up inspired by Adele's hits: Rumor Has It/Someoone like you. Hi i'll probably compose a short blog article since Im posting this secretly from the office. A short break from Monday stress. I cannot help but rave about a wonderful movie I was given the privelege to watch this month. 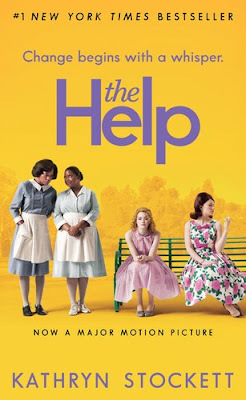 It's entitled The Help, starring Emma Stone, who is one of my newest favorite actresses. Im not a movie critic, let me begin with that. you wont expect a detailed commentary about the movie from me. What I liked about the film was when the lead character, Ablene, a black maid, believed that she has the ability to make people feel special. She has a special mantra that she whispers to baby girl, her ward, whenever she wakes up: "You is kind, you is smart, you is important...". This she repeats and repeats to the little girl until she believes she is loved and that she is indeed important. Baby girl has been born to a young mother who doesnt know how to care for a little girl. I learned that anyone has the capacity to make others value themselves if we all just tried. The film did not end the way most people would want it to. Skeeter was left by her first boyfriend, did not regain her childhood friends, Ablene lost her work after an emotional verbal showdown with the antagonist, the maid who stole the ring was still in jail,.. but still the ending gave me an impression that there is hope amidst all those trials. I loved the film. It's funny & amusing at some points but thought-provoking too. I hope you would like it as much as I did. You won't believe it but DPWH officials actually photoshopped themselves into an after-Pedring inspection photo as if they were in deep conversation over the rehabilitation of the fallen sea wall..
And what's worse/better is, it's not a hoax... It's an authentic photo posted by actual DPWH personnel in their official facebook page, subject to the scrutiny of millions of Pinoy users who cannot be fooled. And so, because of the uproar, they issued an apology in facebook, as well. I think the artist better practice more on the Lasso tool before posting the next one. Hope you have a good laugh today. I think that Direk Jose Javier Reyes' article "Last Song Syndrome" in his Yahoo featured blog a while back sums up what I feel about current OPM. Please read this link beacuse it is a well written post about how poor the OPM industry is now... Almost no one buys Filipino music records and when they are released, our kababayans would rather hear them in the radio and take home the pirated version than spend money on Filipino music. But in all fairness to Pinoy buyers, there are really a few songs these days that are made by Filipinos that actually make sense or have good quality. Please don't tell me that Pinoy rock bands these days are all good. The lyrics are mostly repetitive and they sound almost all the same in my opinion. Well, I'm also kind of biased since I am more into ballads (Bakit Ngayon Ka Lang, Hiram, Bakit ba Iniibig Ka, etc.). Some Filipino musicians have also settled for pitiful Tagalized parodies of American pop hits and some even try to emulate Kpop. Sadly my friends, these do not work for us. ANYWAY, amidst the crazy Pinoy music scene out there, I have heard one on the radio yesterday that I thought could be as poetic as the old Pinoy songs. Beautiful, calm, serene, not attention-craving and the lyrics are well made. My friends and I really planned to watch the much-hyped Babae sa Septic Tank, but as always with popular films, we weren't lucky enough to catch its screening in Greenbelt during Cinemalaya week. Anyway, so we missed Septic tank, we all know that those who were able to catch it with seats are the Lucky ones and we ended up viewing "Nono". Nono, according to a lunchtime kwento by my officemate, is a Netscape movie, meaning this is one of those featured films that have already been shown abroad before the Cinemalaya screenings and have already received awards prior to it's premiere here in the country. We did not expect anything out of the movie since we have not seen one sentence that describes it in the flyers. But we were in for a big surprise. Nono started out a little rocky, it was too raw for my taste, I told myself. Plus the one acting as a gay man.. you can actually tell he is a straight guy acting as a gay man. The acting as a whole did not look good during the first few scenes and a few minutes into the movie, I was starting to regret spending my precious P150. But as the story developed, we all started to realize that it was a fun-filled movie, full of heart & emotion. The script is wonderful. Some of the best and funniest scenes were coming, shockingly, from the amateur child actors! Nono, who's real nickname is Toto, is a little boy suffering from cleft lip and palate and although his face has already been surgically repaired, he still speaks in a muffled manner or in Tagalog, he is what you would call informally as a "ngongo". The actor who plays Nono was really the one who brought the whole movie altogether. He was such a treasure of an actor, young as he was. His confidence was sky high! I truly did believe that he was a young boy begging everyone to believe he can win a declamation and, even more so, write his own piece. I love Nono. I found myself laughing uncontrollably, and even during the sad scenes, you cannot help but feel sincerely sympathetic for the young boys in movie. 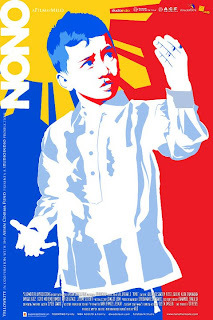 I am not a genuine movie critic, but as a simple Filipino looking hopelessly for good & creative Pinoy entertainment, I found love for the Cinemalaya film Nono. At the end of the film, the whole audience cannot stop themselves from clapping. We were even so privileged to actually meet the stars of the movie. There was a short Q&A with the director and cast. The actors were not like they were in the movie! Proof of my ignorance, because I expected that they would somehow be like themselves in the film. I really admire the people who chose the cast, especially those who picked out the young actors from hordes of wannabe child actors out there. They found pure talent in the children of Nono. The director, Milo Tolentino,man!, he is surely one to watch out for. And in the next Cinemalaya festivals, I would probably scour the schedule pamphlet for his entry before I try out anything else. Hopefully, he has an entry next year! I hope that you would be able to catch a screening of this film because it's truly a gem. Here you can find your favorite femme fatale, Kcatwoman, whip rants and raves about her favorite things.